The Willamette and Mckenzie rivers have some great trout fishing, and it can be good year round. 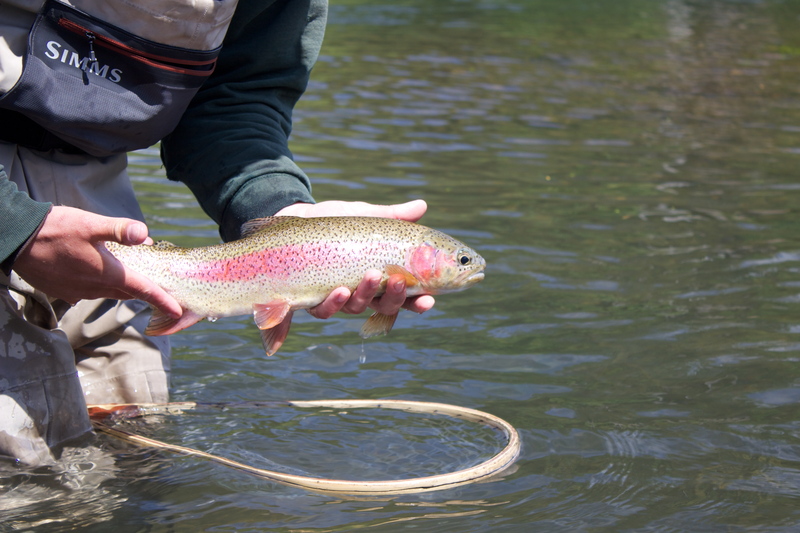 We fish 3 to six weight fly rods, using all trout fishing methods depending on conditions. The rivers have excellent mayfly and caddis hatches, and the fish come to the surface very well. The action can be fantastic, we have plenty of days where it just can’t get any better. However some days it seems like the trout fishing is a hidden gem. Days with lots of action and nobody around, I guess most folks want salmon and steelhead and that keeps the pressure off. The trout here are quality, strong, and healthy. They are actually very strong. Between the Willamette, and McKenzie you could put a lot of time in and see a lot of water. It’s all very scenic too, like I’ve said before, I like where fish live.